Five states have primary elections today, bringing the nationwide total of states that have held primaries this cycle to 21. What to watch: Keep your eyes on governor's races in Maine, Nevada and South Carolina, as Democrats are competing to replace their state's Republican chief executive. Both sides have been pouring record amounts of money into gubernatorial races across the country. Why it matters: There are 36 governor's races happening this cycle, and 26 of them will have the power to approve or reject new congressional maps that will be redrawn after the 2020 census. But Republicans have reason to worry. 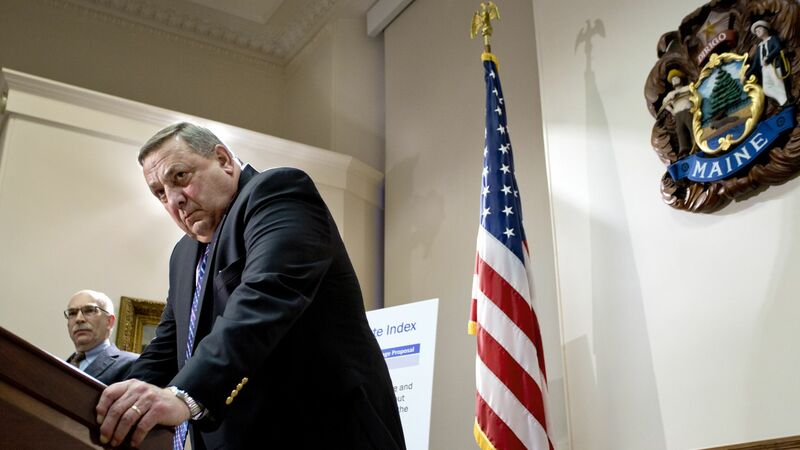 Control of Maine's governor's mansion has consistently changed parties in every election since 1955. And EMILY's List invested $300,000 behind the leading Democratic female candidate, making it the biggest outside group contribution to the gubernatorial race. Nevada: The state hasn't had a Democratic governor since 1999. The top two Democratic candidates, Christina Giunchigliani and Steve Sisolak, are within three points of each other and and the punches continue to fly. Sisolak accused his challenger of having "single-handedly protected perverts." EMILY's List intervened and put $2 million behind Giunchigliani. The other side: Whoever wins will likely face Republican Adam Laxalt, who supported President Trump in 2016 and is backed by conservatives like Sheldon Adelson and the Koch-aligned group Americans for Prosperity. South Carolina: The incumbent Republican Governor Henry McMaster is running for his first full term (he replaced Nikki Haley when she joined the Trump administration.) He has the president's backing, which should help his chances, but with three Republican challengers he could end up in a runoff later this summer. The flip side: James Smith is the leading Democratic candidate. He's been a state lawmaker for about 20 years, is a veteran, and has former Vice President Joe Biden's support. Go deeper: Tonight is the first time voters in Maine are using their new election system, where candidates are ranked by preference and votes are redistributed to each voter's next highest choice until a candidate exceeds 50% of the vote.